One of the main focuses of our work is environmental sustainability, including climate justice, cultural, Indigenous and land rights. 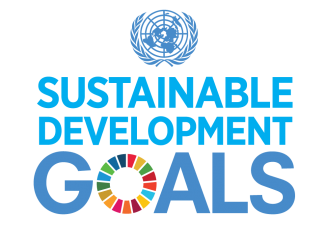 Our objective is to broaden the perspective of social change connecting issues such as economic justice, climate change, peace and security; between SDGs goals, and between local and global advocacy. 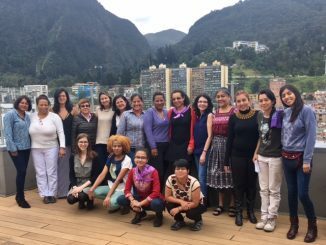 Our work facilitates common advocacy around these issues, with the leadership of women’s organizations in the Global South. It facilitates the engagement of women’s organizations to frame and influence discussions and decisions in international advocacy spaces. The following analysis was presented by FAR member organization Pacific Womens’ Indigenous Networks (PacificWIN – http://www.winlsm.net/win-pacific-network/), which identified key issues for advocacy and solidarity such as protection of Indigenous land/waters/air and intellectual property/traditional knowledge rights; climate change; languages and traditional cultures; impacts of colonization and post-colonialism; treaty rights; and incarceration (First Nations people are massively over represented in the criminal justice system). Indigenous Peoples (also, “Tribal Peoples, First Peoples, Native Peoples or autochthonous peoples”) call themselves by many names in their 4,000-plus unique languages, constituting five percent of the world’s population. There are approximately 370 million Indigenous peo-ple in the world, belonging to 5,000 different groups, in 90 countries worldwide. It is acknowledged that Indigenous Peoples are distinct populations relative to the dominant post-colonial cultures of their respective countries. Indigenous territories contain 80 percent of the earth’s biodiversity. Indigenous lands also hold unquantified megatons of sequestered carbon as 11 percent of the planet’s forests are un-der their guardianship. These regions face an unprecedented and rapid loss of biodiversity and climate change effects, as a result of extractive projects such as mining, oil exploration, logging, and agribusiness. Many Indigenous lands have become biodiversity “hotspots”. According to the World Wildlife Fund, 95% of the top 200 areas with the highest and most threatened biodiversity are on Indigenous territories. The pipeline has been controversial regarding its necessity and environmental impact. Native Americans in Iowa and the Dakotas have opposed the pipeline, including the Meskwaki and several Sioux tribal nations. In August 2016, ReZpect Our Water, a group organized on the Standing Rock Indian Reservation, brought a petition to the U.S. Army Corps of Engineers (USACE) in Washington, D.C. and the tribe sued for an injunction. A protest at the pipeline site in North Dakota near the Standing Rock Indian Reservation has drawn international at-tention. The Trump administration’s backing of the Dakota Access Pipeline project has set the stage for a new confrontation with native Americans and environmentalists. Within days of taking office, he signed two presidential memoranda supporting both the Dakota and the Keystone XL pipelines – telling the army to review one, and inviting a private company to re-apply for the other. They argued that the project would contaminate drinking water and damage sa-cred burial sites. Construction sites are technically just north of the tribe’s reservation but the Sioux say the government took this land from them illegally in an 1868 treaty. Native Americans also accused the government of approving pipeline construction without consulting them, a requirement under US law. Environmental activists say the pipeline would perpetuate fossil fuel production. The West Papua have resisted their invasion by Indonesia with tremendous courage, but their protests are still ignored by governments and corporations. The exploitation of resources and destruction of indigenous homelands continues. The United Nations has given diplomatic sup-port to Indonesia in the case of the West Papuan takeover, and neighboring countries Papua New Guinea and Australia have followed a policy of appeasement even in the face of the mili-tary’s worst atrocities. From 1973 until 1975, the year of Papua New Guinea’s independence, the Indonesian military stepped up its activity against the West Papuan people. Villages were destroyed and the popu-lation turned against the invading forces. Indonesia’s cover-up of events in West Papua con-tinued as the Papua New Guinea government tried to ignore the more than 10,000 refugees camped inside its border. On both sides of the international border, in Papua New Guinea and in West Papua, environmental destruction continues, with the participation of Canadian, Australian, Malaysian, Indonesian and Japanese logging companies. Building rural women farmers’ autonomy requires access to provisions stated in the Conven-tion on the Elimination of All Forms of Discrimination Against Women (CEDAW, or the Treaty for the Rights of Women). Rural women in agriculture continue to be denied the right to inclusion in dialogues at all levels, in both government and non-government matters. Such issues should be guided by CEDAW, which clearly defines the role of rural women, with spe-cific reference to women farmers’ access to decision-making processes at all levels. The lack of access to rights and services differs by geographic regions. The ratification of a treaty by member states can be acknowledged, but not enforced. In many instances rural women are excluded from these discussions. FAR advocates for all pillars of the Decent Work Agenda, which addresses rural women in agriculture and are associated with social and eco-nomic empowerment. FAR advocates for social protection, including maternity leave, sexual and reproductive health and rights for rural women (CEDAW Art 14(2)c). Women in agriculture who are re-tired from hard labor in informal sectors do not enjoy pensions as there is no social safety net available for them in developed or developing countries. FAR also advocates for their right to capacity building (CEDAW Art 14-2d) and education at all levels. Climate change has caused alarming impacts such as rising sea levels, intensifying natural disas-ters and extreme weather patterns. These impacts can only be addressed if we support small-scale farmers, especially women who produce food for local markets as well as those involved in fish-eries and aquaculture. 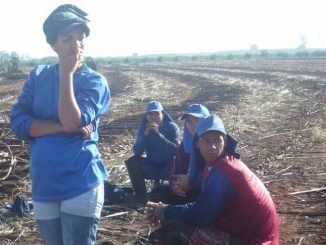 A large percentage of women farmers cultivate in small parcels, giving the unequal distribu-tion of land in many countries and discriminatory land ownership practices. They preserve eco-logical and indigenous knowledge in a resilience process to guarantee the basic right to food and land for their communities and countries. FAR advocates for women’s access to land, insurance in agriculture, capacity development, subsidies, and policies that preserve indigenous knowledge and natural resources, as well as rural women’s access to healthcare, education, social services and retirement benefits.